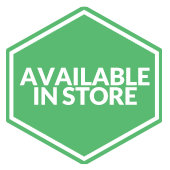 From $136 per month** Click here to begin your approval process! 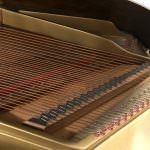 The Baldwin L is a classic American grand piano with concert-level sound. This 1911 Baldwin L can be yours for less than $150 per month. 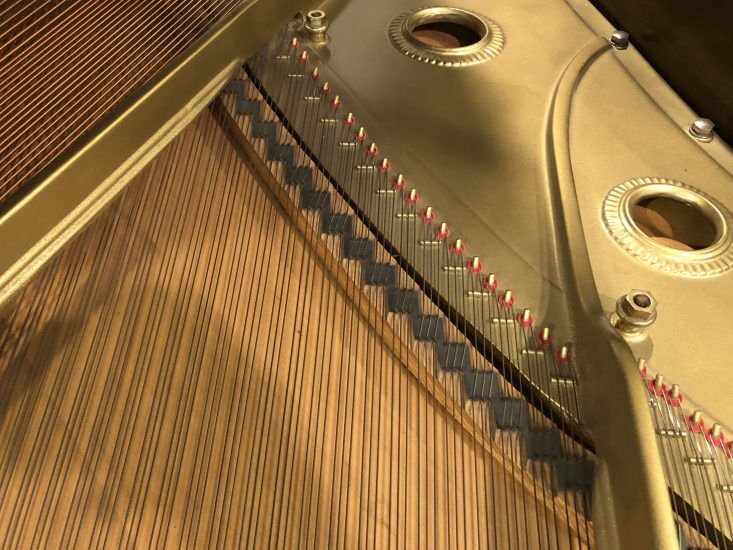 At 6’3″ in length, the Baldwin L can produce a quality of sound that would suit a concert hall. Bring that sound into your studio, church or home. 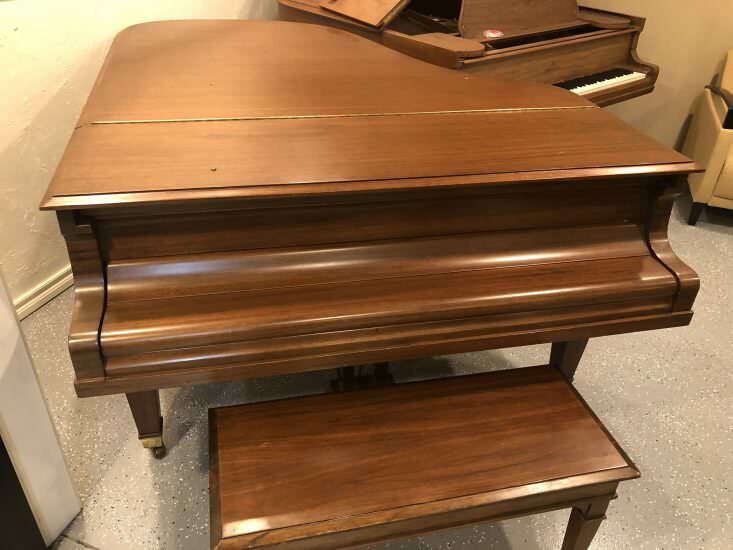 Along with great sound, this piano has a beautiful satin walnut case in good condition, and would make a pleasant addition to any room. 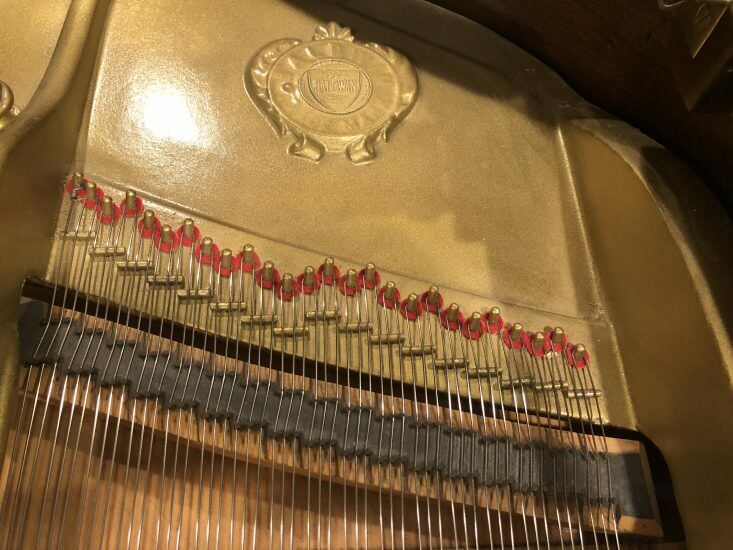 This piano has been inspected and maintained by our expert piano technicians, and is in good condition. 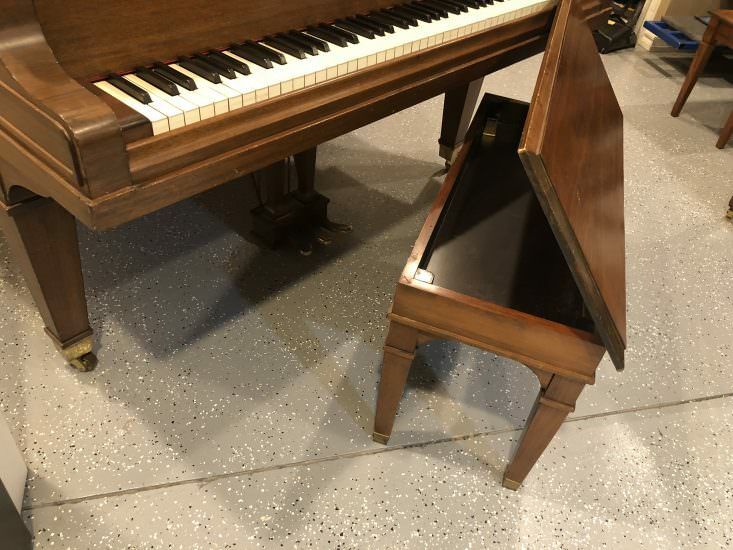 This piano comes with our extended five year warranty on all moving parts and labor. 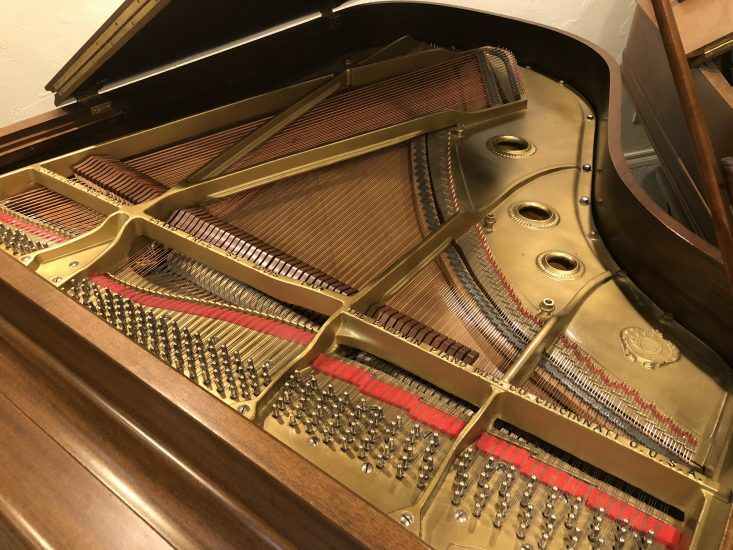 Stop by Bruce Music in Edmond and play this beautiful American-made piano today. 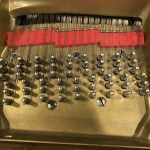 If you want to make it yours, we will deliver this instrument for free, and tune it after moving. 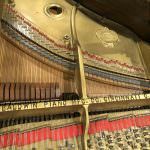 In 1889–1890, Baldwin vowed to build “the best piano that could be built” and subsequently formed two production companies: Hamilton Organ, which built reed organs, and the Baldwin Piano Company, which made pianos. 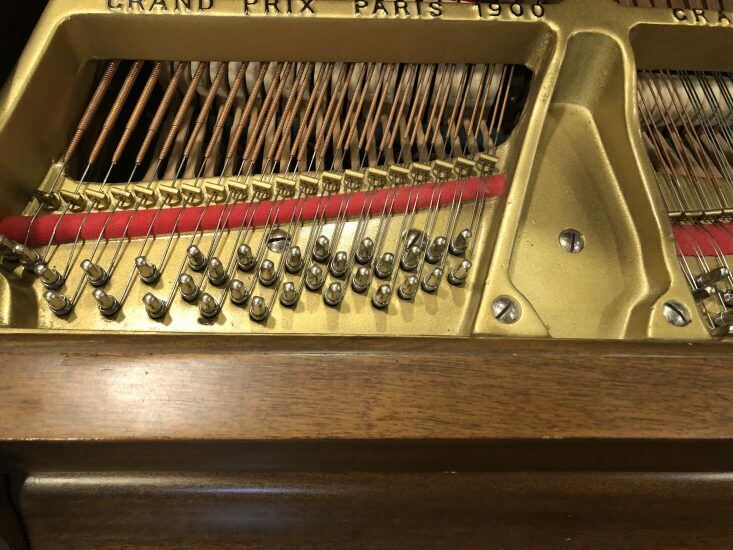 The company’s first piano, an upright, began selling in 1891. 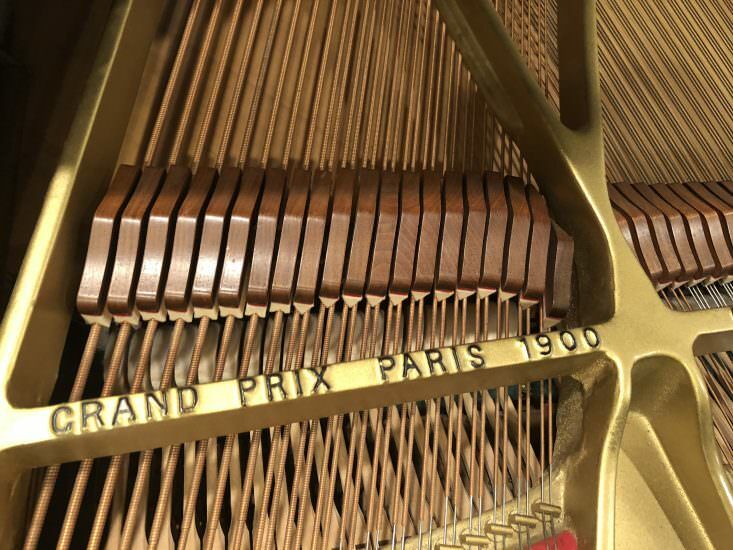 The company introduced its first grand piano in 1895. 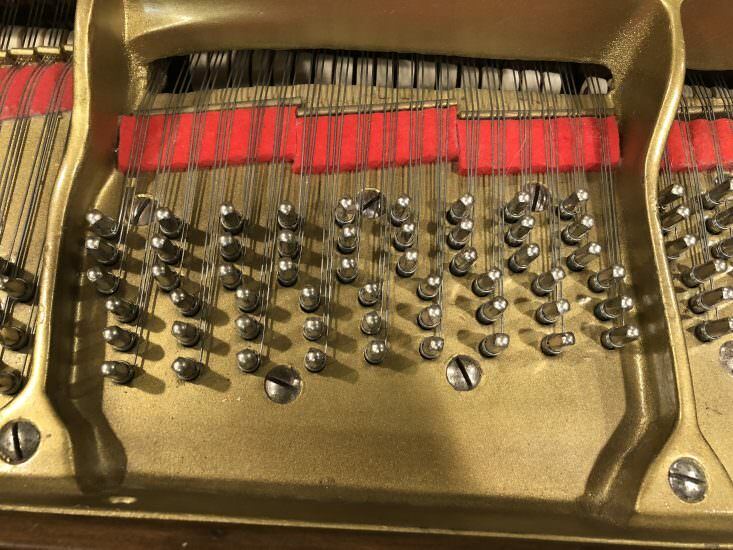 A Baldwin Hamilton manufactured in 1968. Baldwin died in 1899 and left the vast majority of his estate to fund missionary causes. Wulsin ultimately purchased Baldwin’s estate and continued the company’s shift from retail to manufacturing. 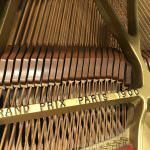 The company won its first major award in 1900, when their model 112 won the Grand Prix at the Exposition Universelle in Paris, the first American manufactured piano to win such an award. 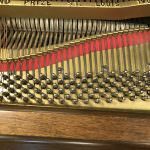 Baldwin-manufactured pianos also won top awards at the Louisiana Purchase Exposition and the 1914 Anglo-American Exposition. By 1913, business had become brisk, with Baldwin exporting to thirty-two countries in addition to having retailers throughout the United States. 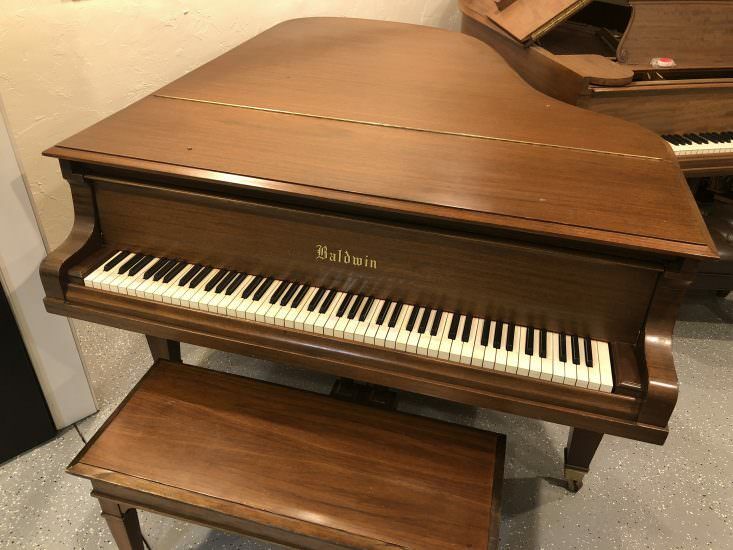 Baldwin, like many other manufacturers, began building player pianos in the 1920s. 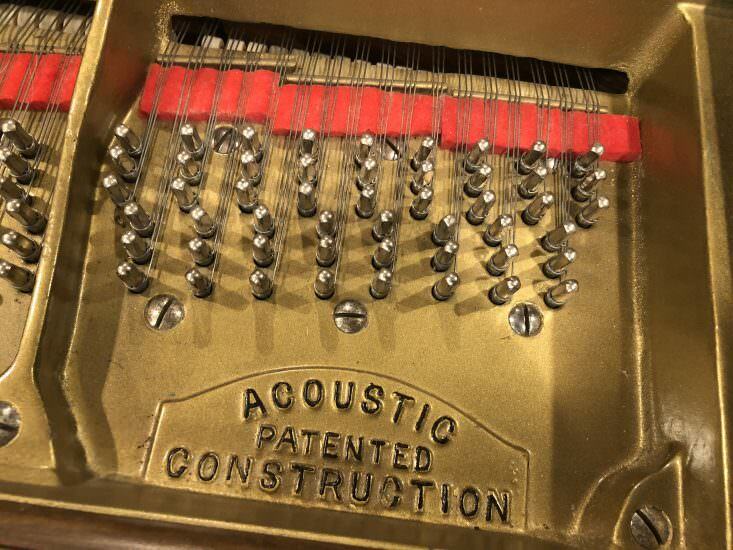 A piano factory was constructed in Cincinnati, Ohio. The models became unpopular by the end of the 1920s, which, coupled with the beginning of the Great Depression, could have spelled disaster for Baldwin. However, the company’s president, Lucien Wulsin II, had created a large reserve fund for such situations, and Baldwin was able to ride out the market downturn. 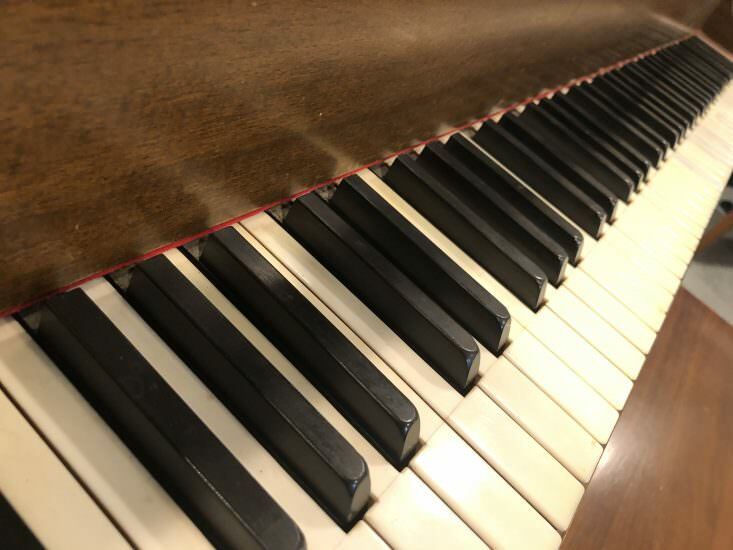 During World War II, the US War Production Board ordered the cessation of all US piano manufacturing so that the factories could be used for the US war effort. Baldwin factories were used to manufacture plywood airplane components for various aircraft such as the Aeronca PT-23 trainer and the stillborn Curtiss-Wright C-76 Caravan cargo aircraft. While the employment of wood components in military aircraft could by no means be considered a resounding success, lessons learned in constructing plywood aircraft wings ultimately assisted in Baldwin’s development of its 21-ply maple pinblock design used in its postwar piano models. 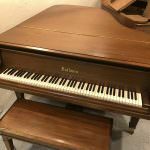 After the war ended, Baldwin resumed selling pianos, and by 1953 the company had doubled production figures from prewar levels. 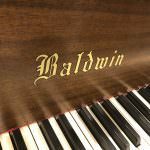 In 1946, Baldwin introduced its first electronic organ (developed in 1941), which became so successful that the company changed its name to the Baldwin Piano & Organ Company. In 1961, Lucien Wulsin III became president. 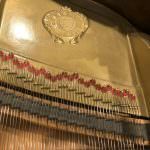 By 1963, the company had acquired C. Bechstein Pianofortefabrik and remained its owner until 1986. 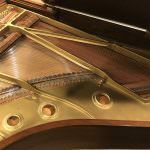 In 1959, Baldwin constructed a new piano manufacturing plant in Conway, Arkansas, originally to manufacture upright pianos: by 1973, the company had built 1,000,000 upright pianos. 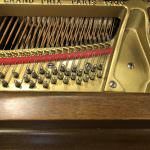 In 1961 Baldwin constructed a new piano factory in Greenwood Mississippi. 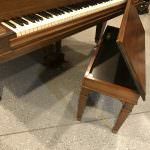 Subsequently production of upright pianos was moved from Cincinnati, Ohio to Greenwood. The company next attempted to capitalize on the growth of pop music. After an unsuccessful bid to buy Fender Musical Instruments Corporation, Baldwin bought Burns of London in 1965 for $380,000, and began selling the guitars through the company’s piano retail outlets. During this time period, Baldwin engineer Robert C. Scherer developed the Prismatone pickup for nylon string guitars. Unaccustomed to marketing guitars, the Baldwin stores failed to interest many guitar buyers, and sales proved disappointing. In 1967, Baldwin also bought Gretsch guitars, which had its own experienced guitar sales force and a distribution network of authorized retail outlets. However, Fender and Gibson continued to dominate, and sales did not reach expected levels. The Gretsch guitar operation was sold back to the Gretsch family in 1989. Throughout the 1970s, the company undertook a significant bid to diversify into financial services. Under the leadership of Morley P. Thompson, Baldwin bought dozens of firms and by the early 1980s owned over 200 savings and loan institutions, insurance companies and investment firms, including MGIC Investment Corporation. The company changed its name to Baldwin-United in 1977 after a merger with United Corp. 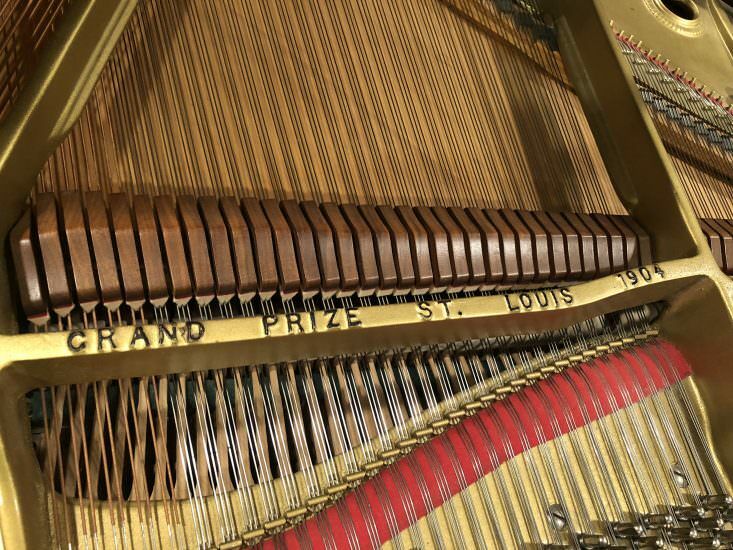 In 1980, the company opened a new piano manufacturing facility in Trumann, Arkansas. 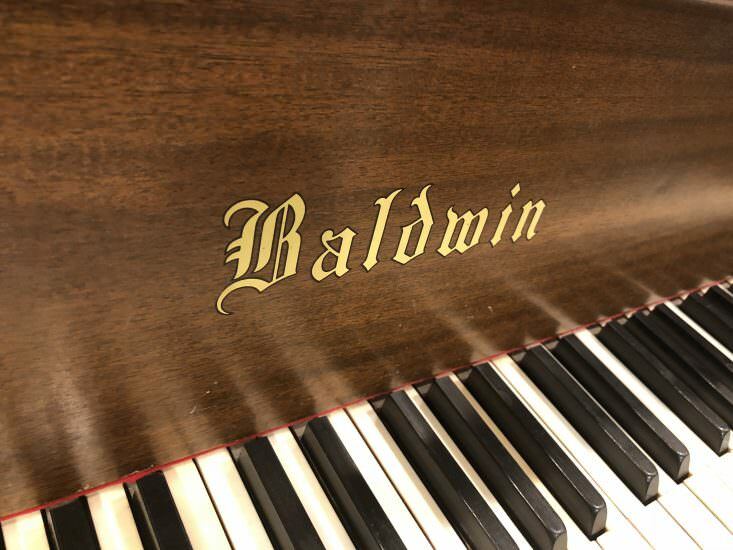 By 1982, however, the piano business contributed only three percent of Baldwin’s $3.6 billion revenues. Meanwhile, the company had taken on significant debt to finance its acquisitions and new facilities, and was finding it increasingly difficult to meet its loan obligations. In 1983, the holding company and several of its subsidiaries were forced into bankruptcy with a total debt of over $9 billion—at that time, the largest bankruptcy ever. 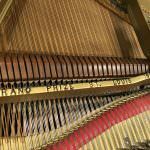 However, the piano business was not part of the bankruptcy. 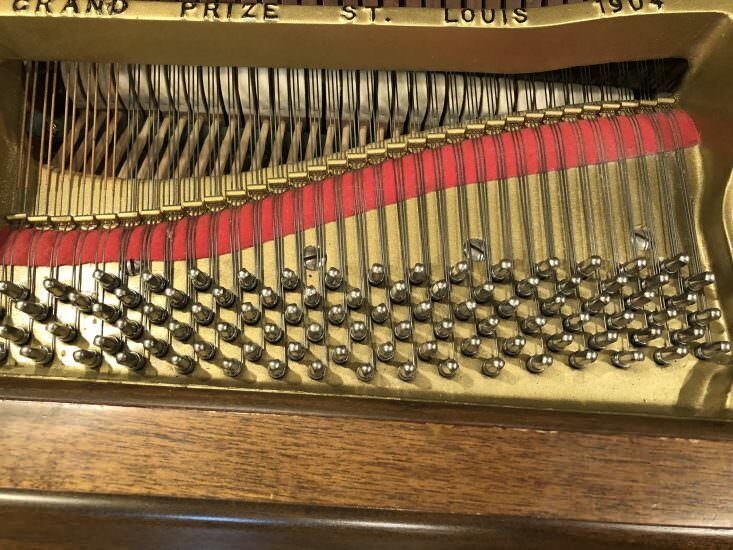 During bankruptcy proceedings in 1984, the Baldwin piano business was sold to its management. 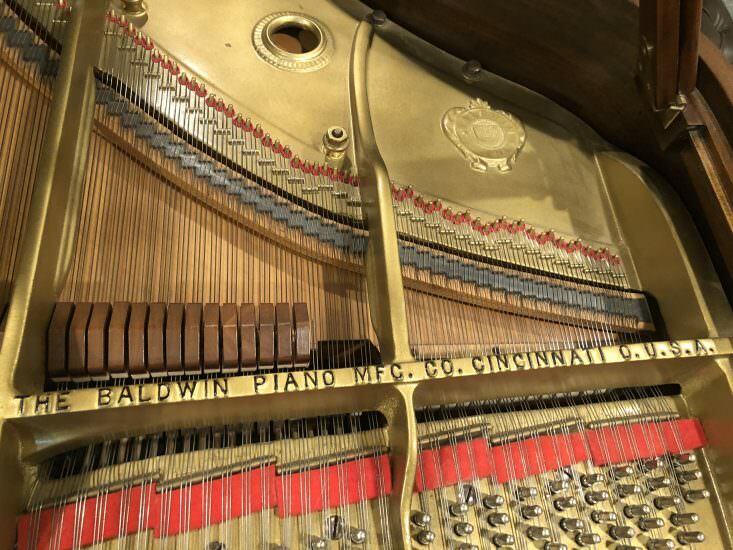 The new company went public in 1986 as the Baldwin Piano and Organ Company and moved its headquarters to Loveland, Ohio. 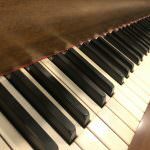 However, difficulties continued as demographic changes and foreign competition slowed sales of keyboard instruments. 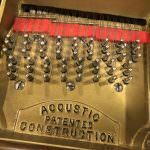 The company responded by acquiring Wurlitzer to increase market share and by moving manufacturing overseas to reduce production costs. In 1998, the company moved its headquarters from Loveland to nearby Deerfield Township. 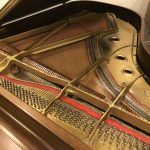 Throughout the 1990s, the company’s fortunes improved, and by 1998, the company’s 270 employees at its Conway, Arkansas facility were building 2,200 grand pianos a year. However, in 2001, Baldwin was again facing difficulties, and filed for bankruptcy once again, when the company was bought by Gibson Guitar Corporation. In 2005, the company laid off some workers from its Trumann, Arkansas manufacturing plant while undergoing restructuring. 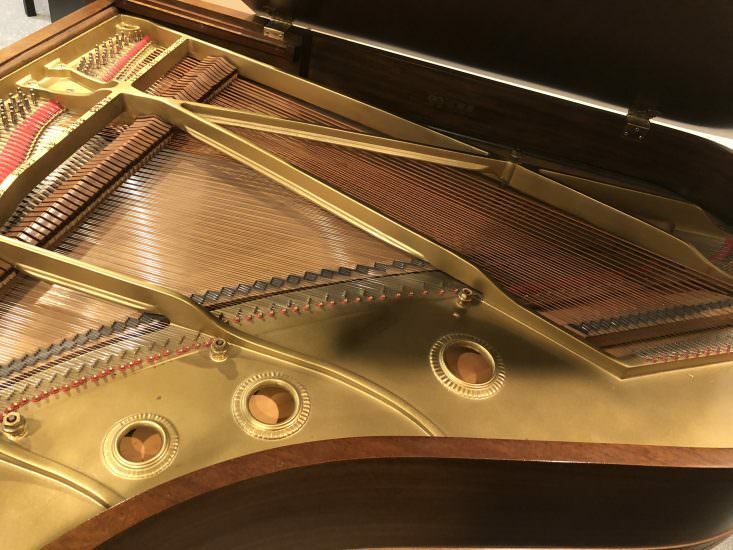 The company, now a subsidiary of Gibson Guitar Corporation, has manufactured instruments under the Baldwin, Chickering, Wurlitzer, Hamilton, and Howard names. 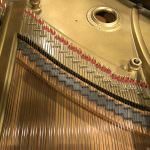 Baldwin has bought two piano factories in China in which they are manufacturing grand and vertical pianos. Recreations of the former US built verticals are built at its factory in Zhongshan, China. 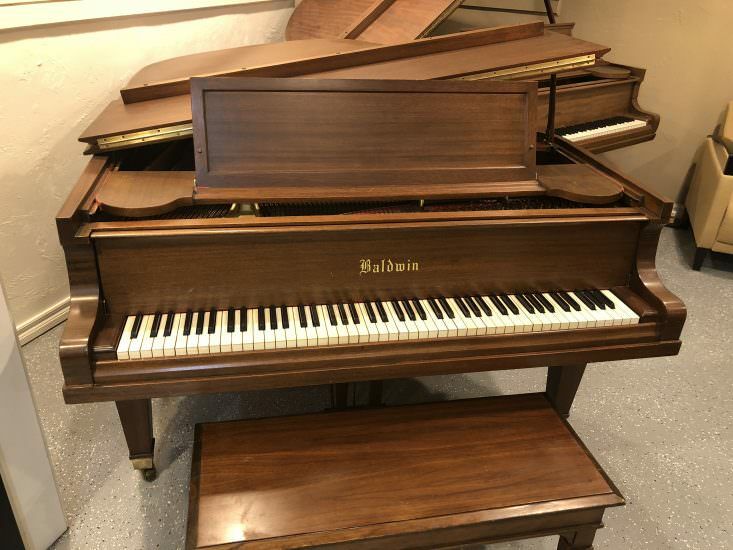 These include the Baldwin Hamilton studio models B243 and B247 which are the most popular school pianos ever built. The much larger factory in Dongbei is not building pianos at this time. 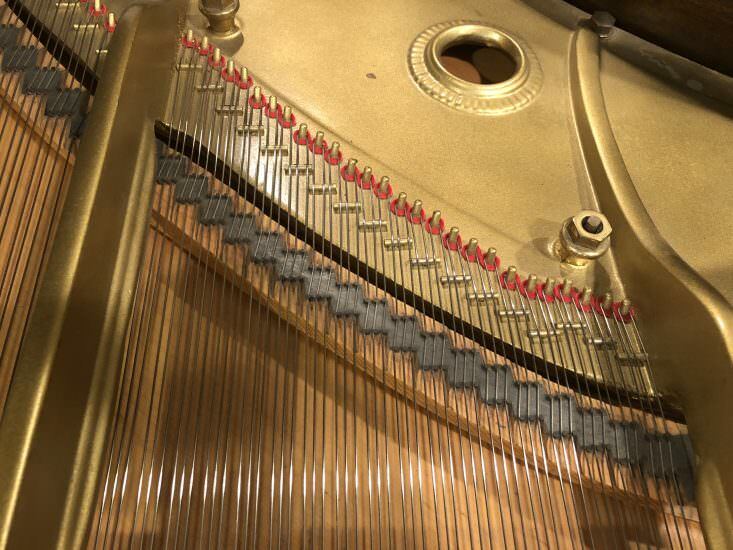 Baldwin grand pianos are being built to Baldwin specification by Parsons Music, China. 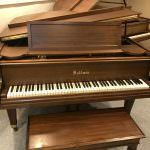 All new pianos are being sold under the Baldwin name and not Wurlitzer, Hamilton or Chickering. 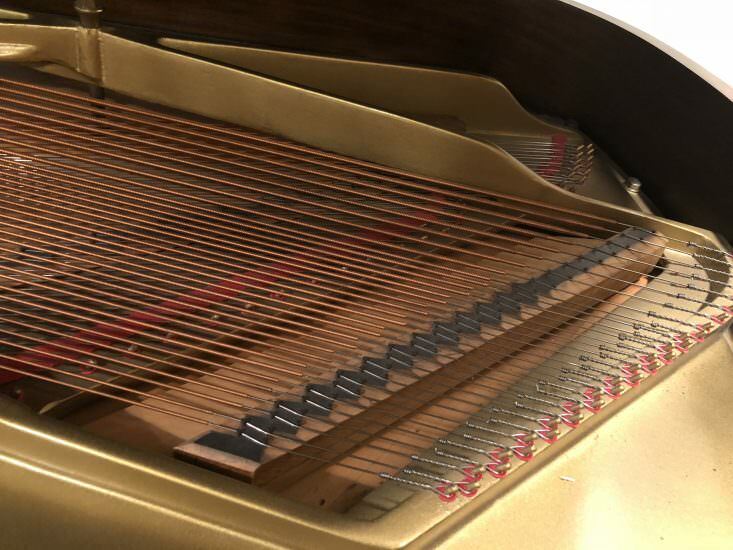 Baldwin stopped manufacturing new pianos at its Trumann, Arkansas factory in December, 2008. 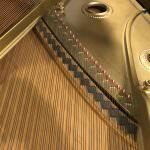 They have retained a small staff to build custom grands and to finish numerous artist grands which are ordered. 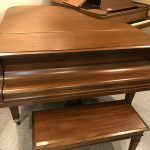 They are planning to continue production of the pianos as demand picks up.